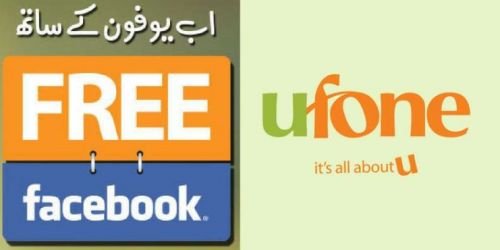 Ufone brought Free Facebook for their Customers, Ufone FREE Facebook for both Ufone Postpaid / Prepaid Subscriber for free-of-cost. With Ufone package for Free Facebook 2018, all Ufone Customers can now use Facebook Free and other websites. Ufone customers can use FREE Basics to access a variety of websites which includes communication, finance, education, health, news and local information sites i.e. Facebook, Facebook Messenger, WikiHow, Wikipedia, Accuweather, Bing etc. Subscription to Ufone FREE Facebook package 2018 is upon selecting a FREE Facebook option in by the customers. Offer Price is Rs. 0 (incl. tax). switching Upon to the paid version option, default internet charges may apply. This offer is a limited time and is intended for use as is. Only on Android app & browser also on iOS browser, The service is available. The offer isn’t supported on Opera Mini and UC Browser. The service may contain links to other sites. If you click on any third-party link, you will be directed to that site. External sites are not operated by Ufone. We have no control over and assume no responsibility for the content, privacy policies, or practices of any third-party sites or services. On this offer, There are no subscription charges. All Ufone Prepaid and Postpay customers can avail this service who have independently subscribed to use Facebook browser and applications.